Since the class in early October, Patricia Hayden has been far more prolific than I, experimenting with freeform ruffled bracelets. 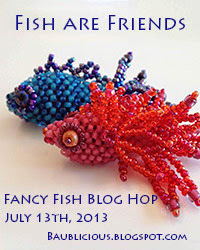 Her pieces are so bright and sparkly, and her color schemes remind me of peacocks and mardi-gras. I was particularly taken by how she ruffles around the outer edge of the button loop, creating a ruffled bezel or nest for her buttons. 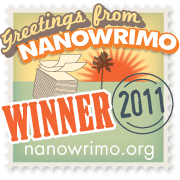 The five-sided star to the left above, was a product of troubleshooting. The bugle bead finials by themselves were deemed too 'floppy'. 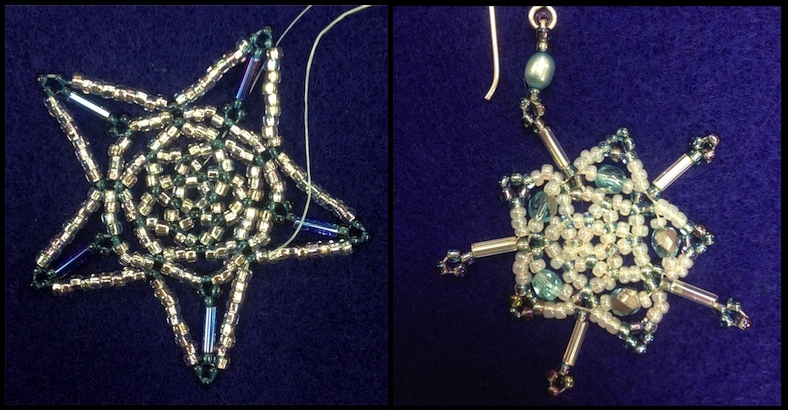 So I suggested adding the seedbeads to either side to help stabilize them. Turns out they also made its shape far more distinctive. 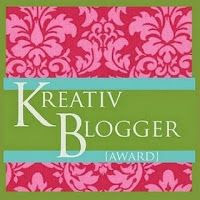 I truly love how this design turned out and have resolved to make some myself. Charlotte Carr incorporated crystals into her snowflakes, as seen in the sample above and to the right. She brought her collection back during my Lacework class and allowed me to take pictures. 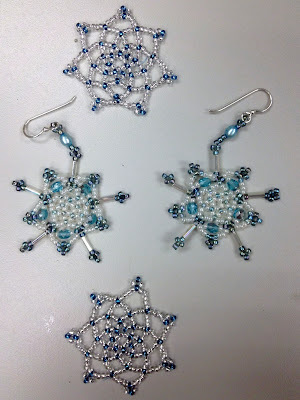 Too bad I definitely take better photos in my studio than at Fusion Beads! 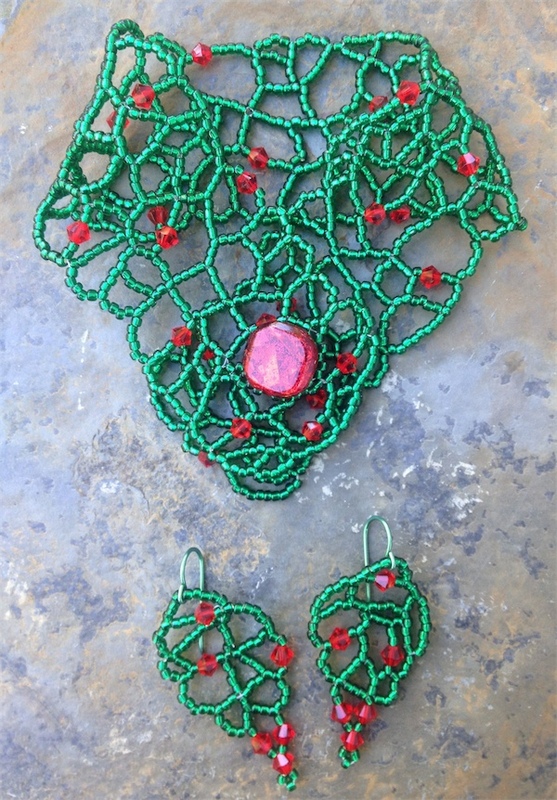 Patricia Hardway created a very open, lacy bracelet and earring set just perfect for the holidays. 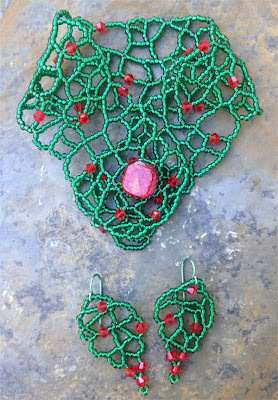 The red crystals offset her green lacework and makes me think of poinsettias, even though I know they should remind me of holly berries. A member of the NW Seedbeader's group, she wore the set to the December holiday meeting and allowed me to snag them off of her long enough to take a photo. I just wish I'd snagged a photo of her wearing them, too! 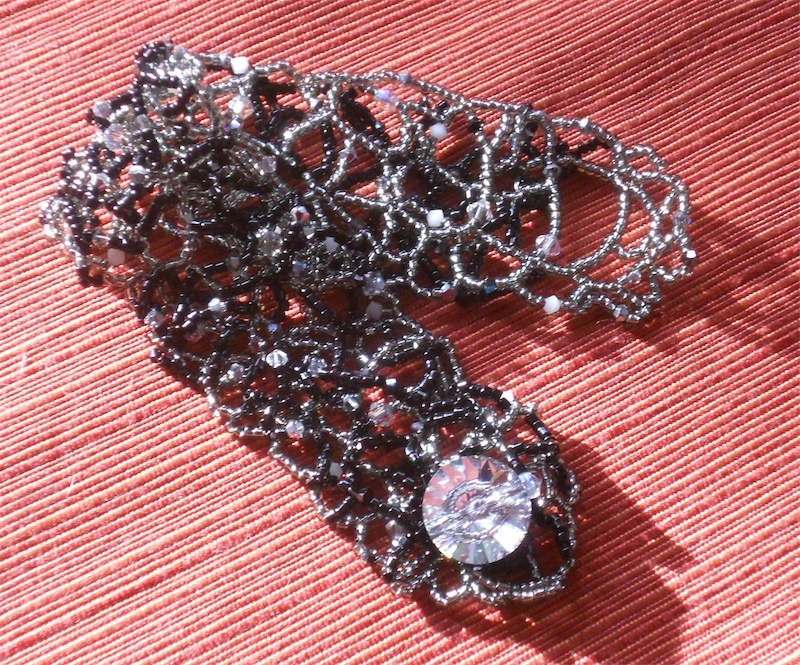 Sandi Mann sent me this last photo of her sister's lacework bracelet. After completing her first pass, she decided it was too open, so she went back and added a second layer. Isn't the effect stunning? 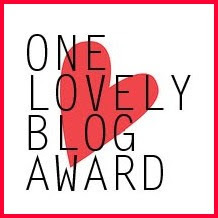 And for an extra bonus, check out this post by Christine over at One Kiss Creations. 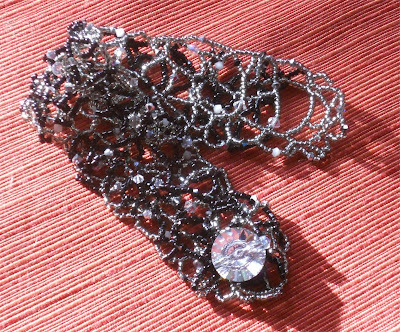 Christine did not take my class, but I sent her the instructions for my Lacework bracelet, and this is what she came up with. I love how different all of the designs turn out! And I love posting pictures of other people's work. 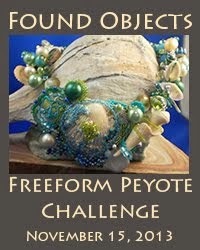 So, if you've taken one of my classes, or have a love of freeform peyote or random right angle weave shoot me a picture or a link to a blog post and I'll include it in a later post, along with a link to your blog or website if you have one. Cheers! Karen, these snowflakes the ladies made are fantastic! Each one is beautiful and unique. 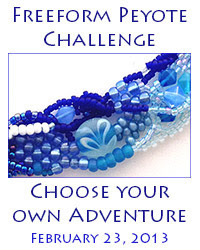 The peyote bracelets are so cheerful and fun! Perfect pick-me-up for the winter blues that are starting to set in. And the random RAW---the holly berries/poinsettia one fabulous-a real eye catcher! The double layer is a very interesting idea-it is neat to see a design underneath going its own way and doing its own thing-just gorgeous. What a great solution to more openness that was desired. I think I would not have had that foresight and would have cut it apart and started over. Thanks Christine! Seeing what other people come up with is one of the reasons I love to teach. And my classes and patterns tend to be very open to experimentation.